One of my favorite things about being a blogger is attending events because I get to meet new people and network. One of my first events in D.C. after moving down here, I met a lot of amazing gals and two of them have become long time friends. You just never know where you meet amazing people that are meant to fit into your life. 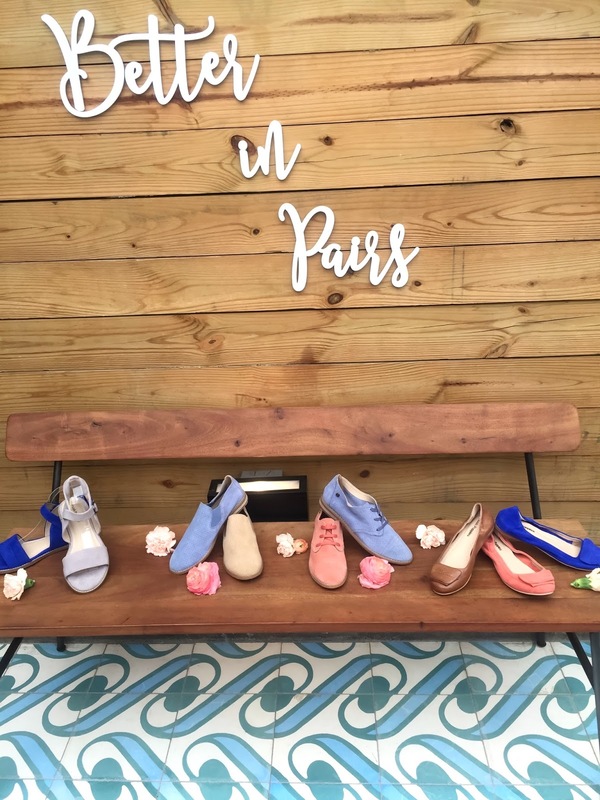 A few weeks ago I attended a dinner event with Hush Puppies and got to preview their spring/summer 2017 collection. I've always loved this brand, especially when I was in high school. I will never forget my brown suede Hush Puppies I would wear almost every Friday because of course, you saved your best outfit for Friday's in high school! Right? The event was at Masseria restaurant and it was full of shoes and delicious cocktails. That sounds like the perfect pairing if you ask me. The decor was just so adorable with floral arrangements on the table from Sophie + Co., personalize coasters and goody bags. They sent all the ladies in advance a pair of shoes from the collection to wear to the event so I was twinning with a lot of ladies. The ones I choose were these block heel leather sandals in tan. They are super comfortable and I've already worn them a few times since the event. We had dinner and I got to meet and chit-chat with some fellow DMV bloggers which were pretty sweet. I definitely want to thank Hush Puppies and their team for such a fun event and for my amazing shoes. Check out more pics from the event and some of the shoes from the collection! Hope you guys enjoyed this post! Have an awesome weekend! You look so beautiful babe, I love your outfit and course your shoes! Thank you my love! I'm obsessed with these shoes! Lindo tu atuendo muy femenino, los zapatos de Better in Pairs están muy lindos, lucen muy cómodos y los colores se ganaron mi corazón gracias Patty por compartir ya mismo paso por la pág web a ver más goodies.! Gracias Alicia! Son mis favorito zapatos!